After the retirement of Rev. Nelson, the Rev. Dr. David Affleck was called to St. John's. 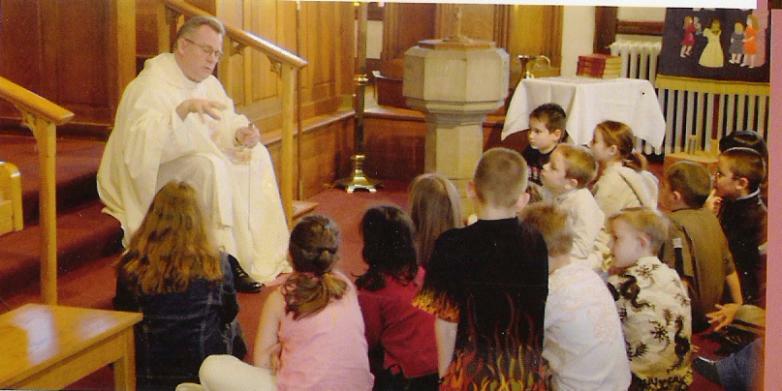 Father Dave had a wonderful ministry with the children of the parish. After the tenure of Rev. Affleck ended in 2008, St. John's had several interim clergy persons. During this time the members of St. Luke's Church in Malden were looking for a parish to merge with. By October of 2008 St. Luke's had decided to merge with St. John's. Over the next year the members of the two parishes worked together to blend the two churches. One of the memorable projects was the construction of St. Luke's Chapel. The altar and rear stain glass windows from St. Luke's were transferred to the chapel space and installed. At this time it was discovered that the saints carved on the alter rear were St. Luke and St. John. When this was carved back in the 1940's the Holy Spirit must have been present. In 2010, the Rev. Kevin Olds was called to St. John's and was rector for several years, moving the parish forward. In 2017, Rev. 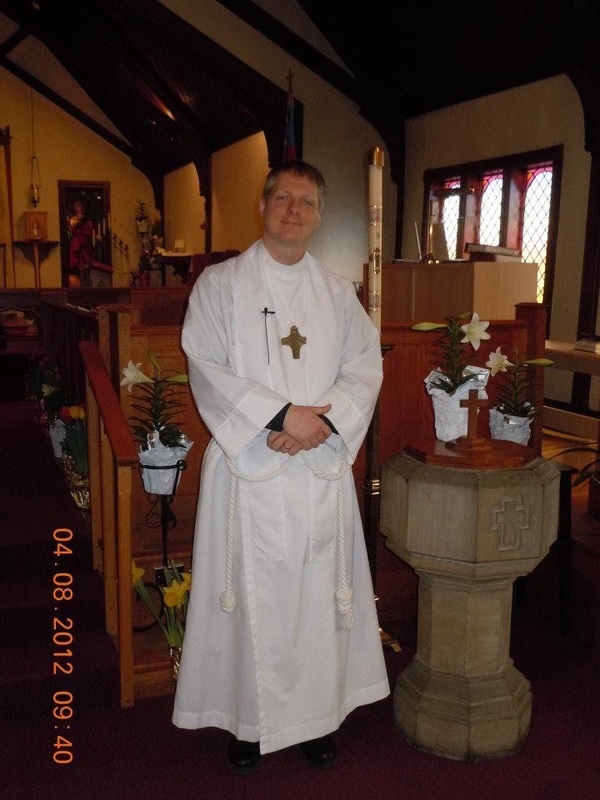 Olds answered the call of a Connecticut parish and we now have a new Priest-in-Charge, The Rev. Sarah van Gulden. In 2014 Sarah was ordained to the Transitional Diaconate and began a three-year position as the Urban Resident/Assistant to the Rector at St. Stephen’s Episcopal Church in Lynn, MA. In 2015 she was ordained to the priesthood. She served at St. Stephen’s until the summer of 2017 and in the fall of 2018 was called to serve as the Priest-in-Charge at St. John’s.